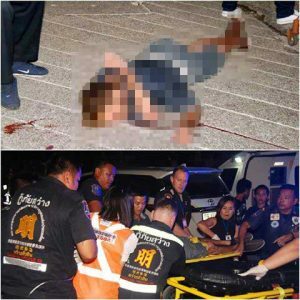 Reports have come in that a foreigner has jumped to his death after he stabbed a Thai woman and was subsequently chased by police. The drama happened Sunday after the woman was stabbed with a stick used for food at a location in Hua Hin Soi 41. Local reporter Kulsawek Sawekwannakorn reported on Facebook that following the stabbing the foreigner fled in his Fortuner car and a chase ensued. The chase ended up at a hotel where the foreigner ran to the flat roof. Police attempted to talk him round while officials from the local authority positioned an air bag on the ground. 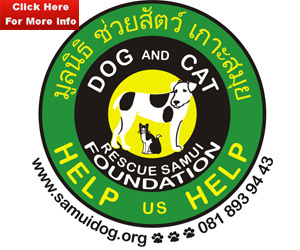 As police failed to calm the situation a friend of the same nationality was brought who spoke to him for all of two hours on the roof, reported Kulsawek. However, this too was unsuccessful and the man jumped. Medics from Sawang Hua Hin ferried him to hospital but he was pronounced dead. A picture on Facebook posted earlier claimed to show the man near his car looking agitated. More details as we hear of them. 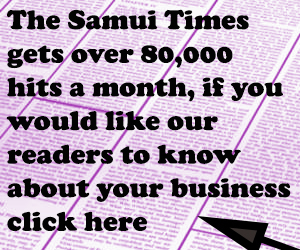 Police in Nakon Si Thammarat unfazed as Ya Ba suspect tries to hide behind bucket in the loo!